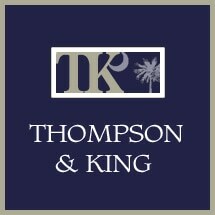 The law firm of Thompson & King, located in Anderson, provides a wide range of legal services to individuals and families throughout upstate South Carolina. Together, attorneys Robert E. King, Jr., and Richard E. Thompson, Jr., have more than 40 years of combined experienced and offer personalized and individual attention in addressing legal matters in a timely and efficient manner. At our firm, clients most often meet directly with the attorney who will be handling their cases, rather than paralegals or legal assistants. The direct attorney-client relationship is essential to developing and executing effective legal strategies. Our lawyers will carefully listen to your situation in order to identify your goals and identify the important legal issues that are involved. We do our best to resolve every dispute with the maximum result possible. Our trial experience is extensive and we are prepared to litigate issues when it is appropriate to meet our clients' objectives. Since each case is unique, we tailor our approach to the best interests of the client. Our firm handles a wide range of practice areas that include bankruptcy, personal injury, Social Security and VA disability, criminal defense and family law. Contact our office in Anderson to schedule a free initial consultation. Call 864-222-0200 to schedule an appointment.